I’ve just got back from spending a few days in Stockholm, Sweden, which were absolutely perfect. The flights were a total impulse buy, as I found them in the Ryanair black Friday sale for £5 each way! 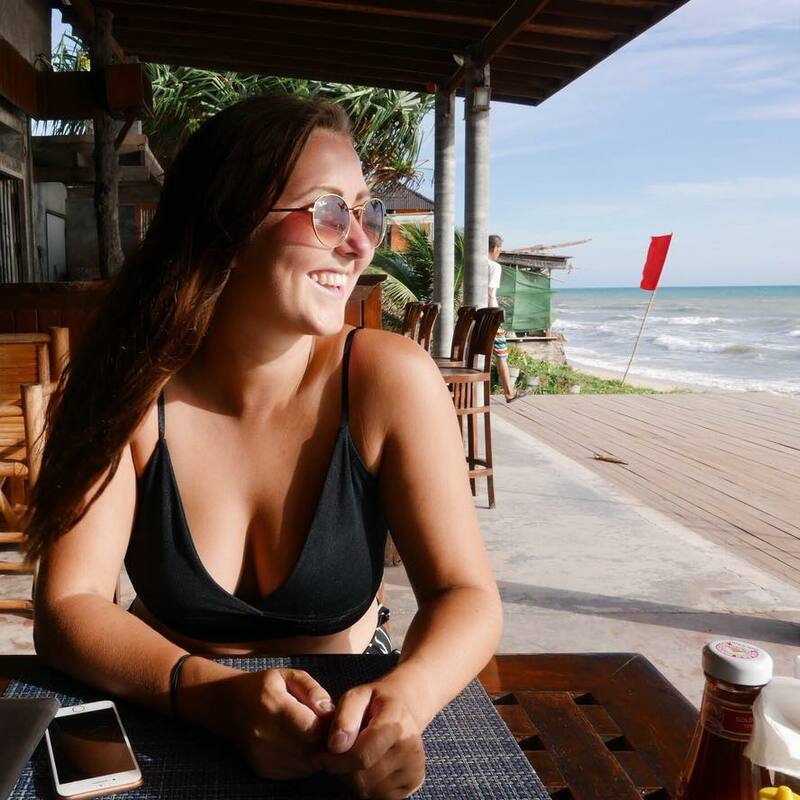 I booked them for a little Valentine’s day getaway without much hesitation, as I couldn’t say no to £20 for two return flights. 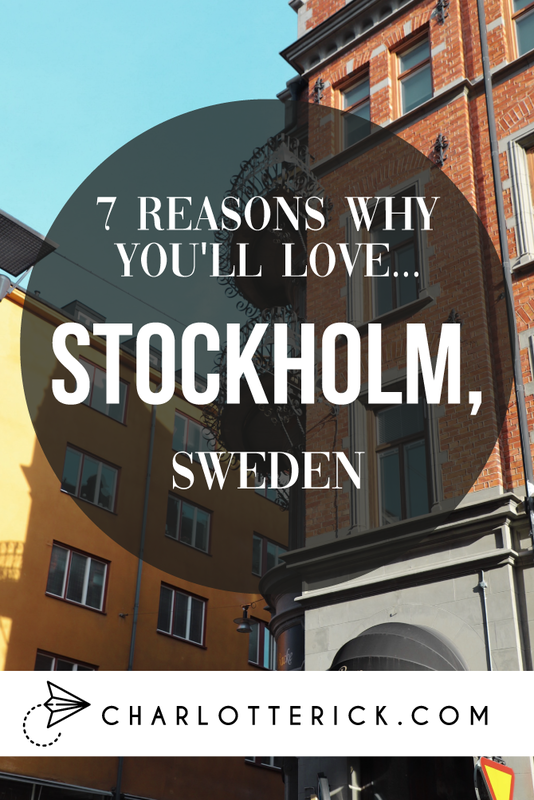 I’d never really thought about visiting Stockholm, so literally picked the city based on the fact I’d never been to Sweden and it’d be nice to go somewhere new and tick another country off the list. I was a bit concerned as after booking it I got told how expensive it was – so much for a cheap holiday! However we didn’t actually find it too bad, as we tried to live as cheaply as possible whilst there. 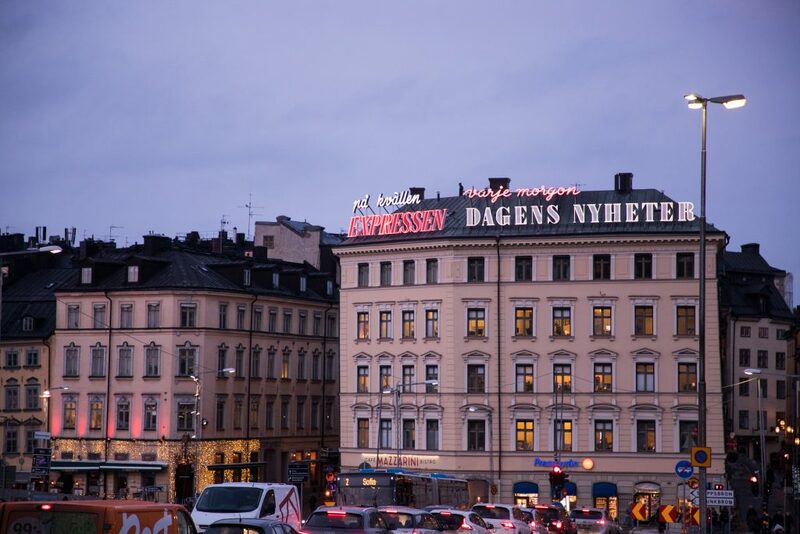 But this was the ONLY negative I could have for Stockholm, as the rest I fell in love with. Here’s why! My main ‘thing’ when visiting cities is the architecture. Especially in Europe! I’m obsessed with pretty buildings, whether they’re old or new, colourful or brick. However I always find that you go through different parts of the city and find places that really aren’t as nice. However in Stockholm, we genuinely did not find one ugly area at all! 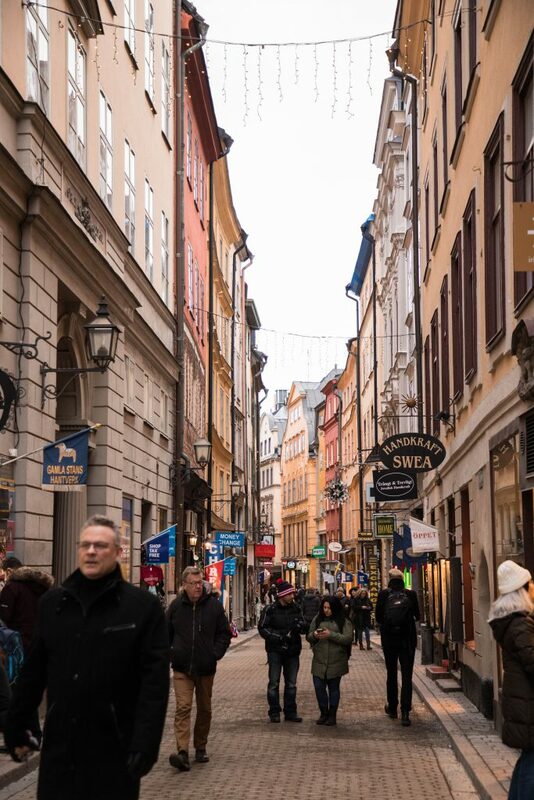 Gamla Stan is absolutely incredible, with the old town’s little streets and colourful squares. But then we found everywhere else we walked equally as beautiful! The buildings were painted bright yellows and oranges, meaning everywhere you went never felt dull like in a lot of cities. Nothing about Stockholm says concrete jungle. Due to the geography of the different islands, there are no skyscrapers in the city so everything feels quaint and old, like something out of a fairytale. We were treated so well by the locals! I’ve never been anywhere where I’ve thought the locals weren’t welcoming, but they loved us! We went for a drink at a bar and two guys who heard us speaking English came over to chat to us, and then invited us to sit with them and another group of people. 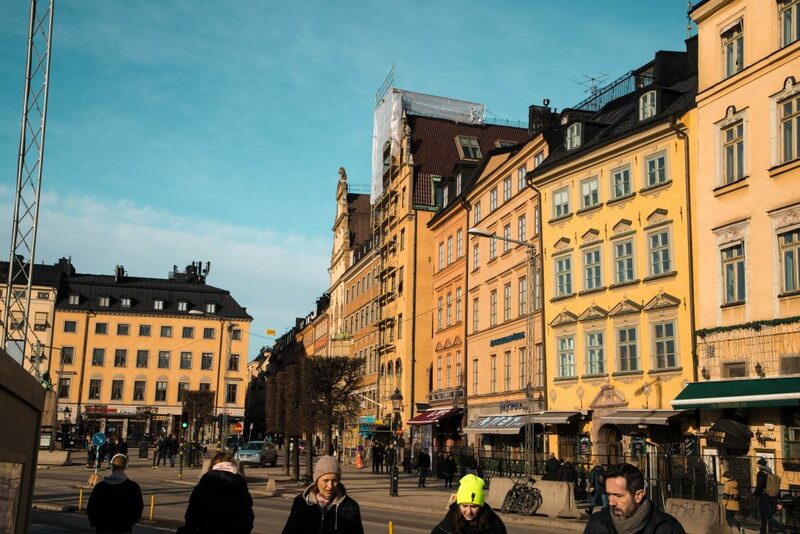 They all were so, so nice to us – asking us about our lives, what brought us to Stockholm etc. They were also very, very generous and kept buying us drinks all night… we even got an invite to one guy’s family farm for a meal! We’d heard that a pint in Stockholm was something crazy like £7/8, so before getting there we’d established this wasn’t gonna be a drinking holiday! However, we were SO wrong. We discovered that between the hours of 3/4pm-7/8pm (it varied) was Happy Hour, and you could get just under a pint of beer for 29 sek! This is around £2.30, which is super cheap! We just missed it on the first night we were there, but went to a place called Lion Bar (there are a few) where a drink was 60 sek for 60cl (just over a pint) so that was kinda standard UK price but cheap for Stockholm. On the second night we’d been so hungover all day so didn’t even think about drinking, but took full advantage of happy hour on the third (and final) night! Just bear in mind it gets super busy, so you may not always get a seat. We went to International Bar and luckily managed to grab a table as a couple were leaving. Also, starting to drink at around 5pm means you get home much earlier and get a good night sleep. Perfect for site-seeing the next day! 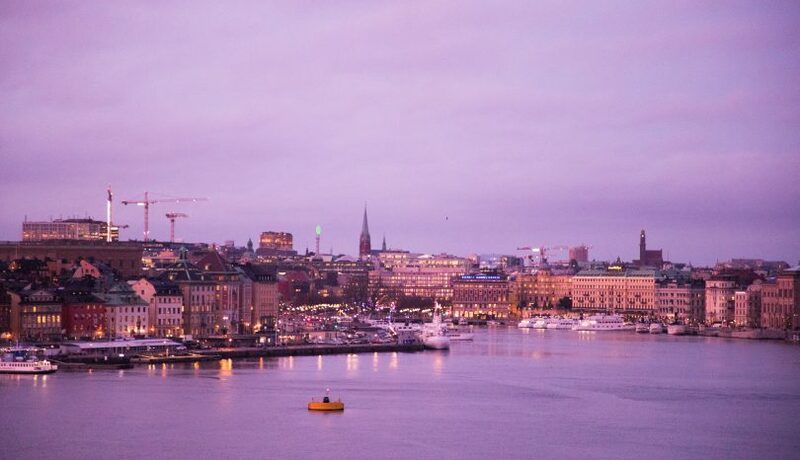 Stockholm is definitely not somewhere that is short of things to do. 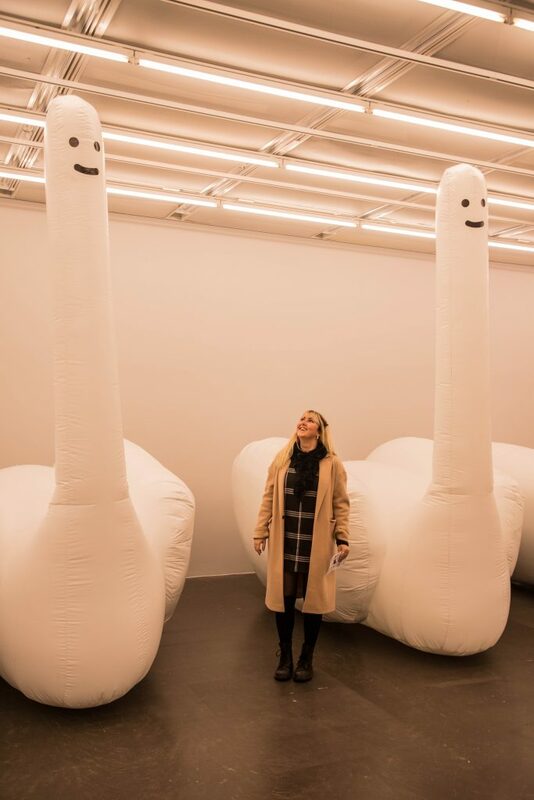 There’s so, so many things for tourists to see! We got a Stockholm Pass, which meant that most of the major attractions were all included in the price of that. I’d definitely recommend doing this if you plan on seeing some of the museums as it saves money, and also includes the hop on hop off buses and boats! 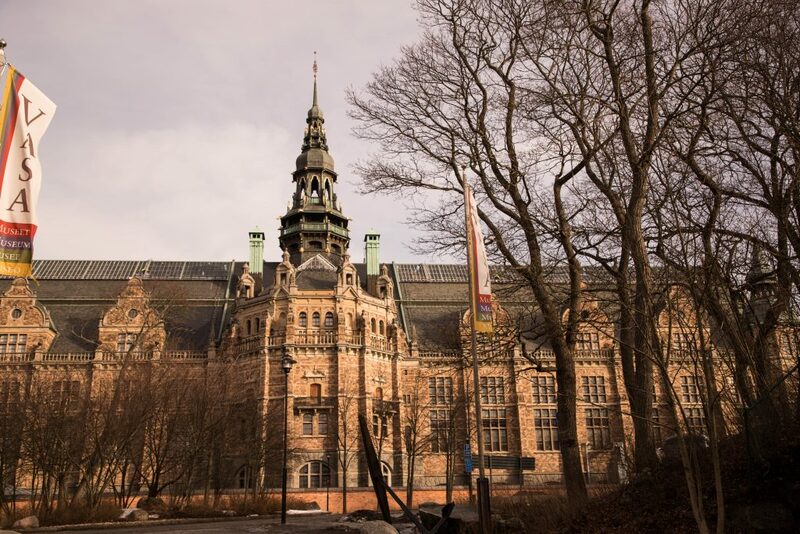 I’ll be writing another post going into more detail about things to see in Stockholm, but the must-sees are The Vasa Museum, Skansken Open Air Museum, The Fotograviska Museum… the list goes on! As we went in Winter (or what they’d call their spring, despite it still being super cold!) we were more limited in what we could do than in the Summer months. When the weather is a bit warmer some more places open up (such as the theme park) and there are way more boat tours/routes open. 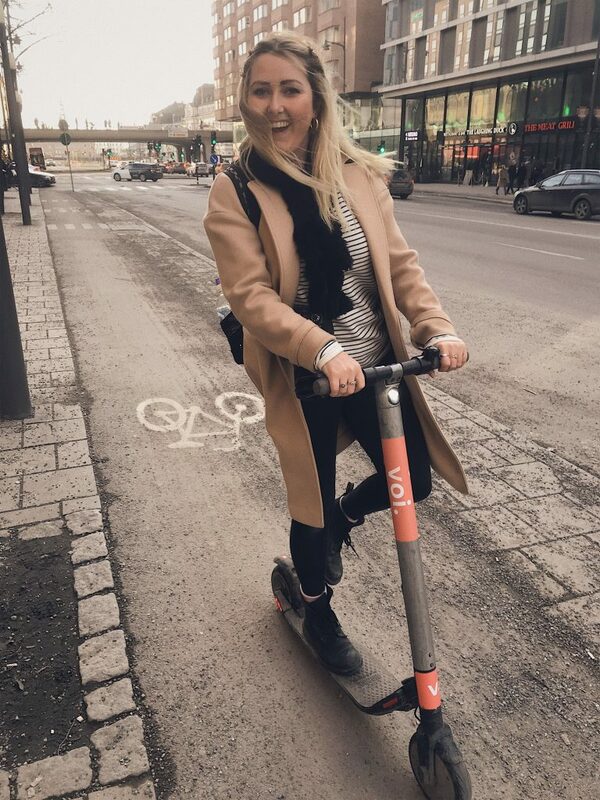 Okay so I know this isn’t limited to Stockholm, but it’s one of the things we loved – the electric scooters! They have two types – Voi and Lime (we saw Lime in Paris too but it was snowing so we couldn’t use them). For some reason Lime didn’t like our cards so wouldn’t work, but the Voi ones did so we got those instead! You download the app, set up your payment details and then find your scooter. If you have found one already, you just scan the QR code. Otherwise you can see where they are on a map. It also tells you how much battery they have, so make sure you don’t get one nearly running on empty. We got them on the last day and had so much fun, as they go pretty fast too! Stockholm is a great city for them as it’s pretty much flat due to it being different islands, so you haven’t got many steep hills to go up/down. 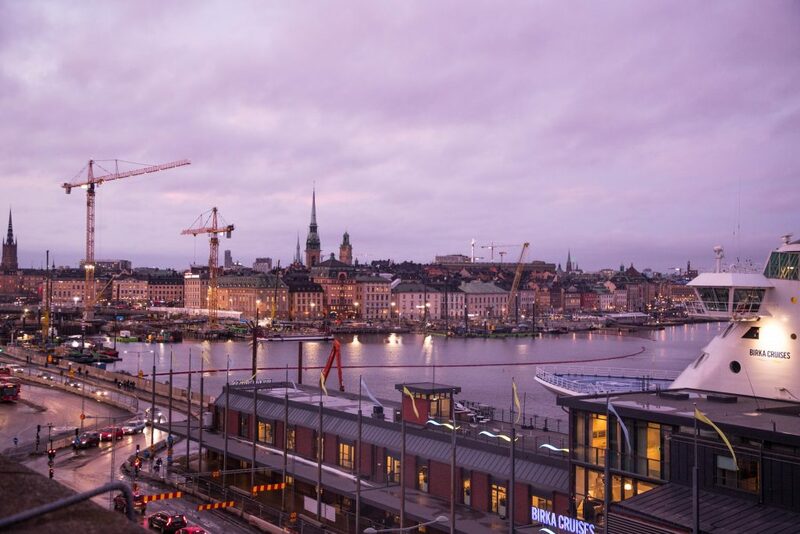 I’ve mentioned it a couple of times already, but Stockholm is made up of different islands – fourteen to be precise! Meaning that you’re pretty much constantly surrounded by lakes and water. This means you can also get boats from each or go on boat tours, which we decided against just because it was SO cold, but this is the kind of thing I’d love to do in the summer. The good thing about it being cold though was the water was even prettier, as it was mostly frozen. I guess coming from the UK we don’t really experience temperatures that cold so the most frozen water I’ve ever seen is a pond! 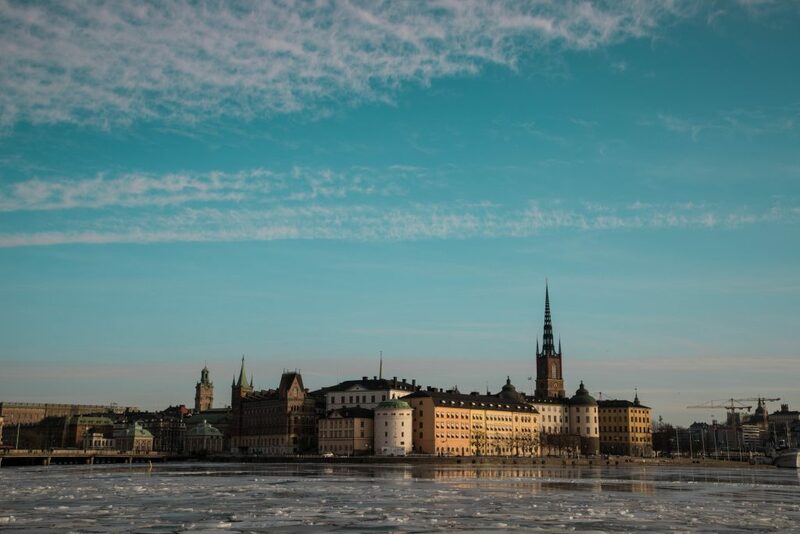 But we loved the big, broken up pieces of ice floating around on the water – for us this added to how beautiful we found Stockholm. The water always looked beautiful at night too, as it reflected all the lights around it. We especially loved the view when walking to the Fotograviska museum, as across the water were the lights of Grona Lund (the old theme park) which were reflected in the water. I don’t think I could make a list of all the things I like about a place and not include the food – I’m yet to find somewhere that I don’t like their cuisine! I wasn’t sure really what Swedish food was, other than meatballs (thanks, IKEA). So that was the one dish I was desperate to try – and they were SO good. We got them at a little cafe in Gamla Stan, where they were 99 sek in a deal. This is the cheapest we saw them, as most places they were at least 135 sek. 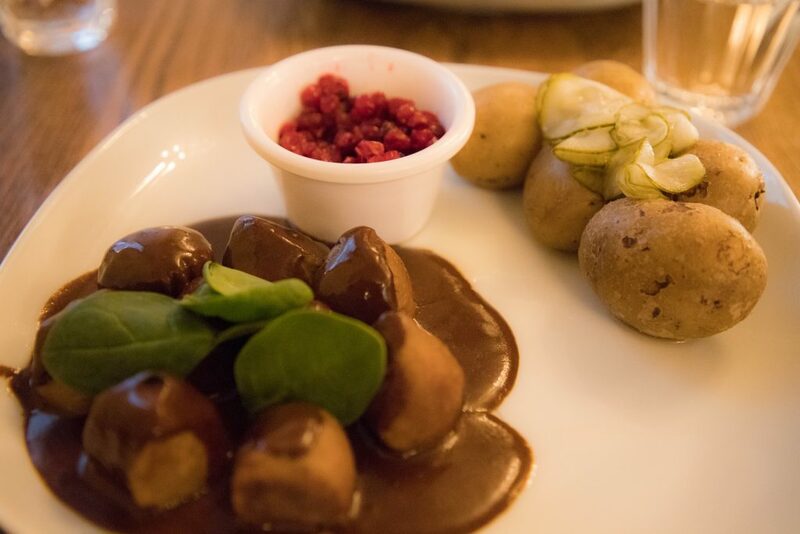 They came with lingonberry sauce, gravy and potatoes (not mash, but still really good). The gravy was the best bit, it was so thick and full of flavour. As eating out in Stockholm is pretty expensive, we tried to pack our own lunches and not spend too much. We did stop for a burger at a place called Max Burgers – as these looked pretty cheap. It was basically like a McDonalds or something, but the burgers were SO good! We’d only originally stopped there for something small/cheap as we were hungry but James loved them so much, we ended up having our last meal at one too. They’re exclusive to Sweden (James was very sad about this), but if you don’t fancy spending lots at nice restaurants, definitely try one! 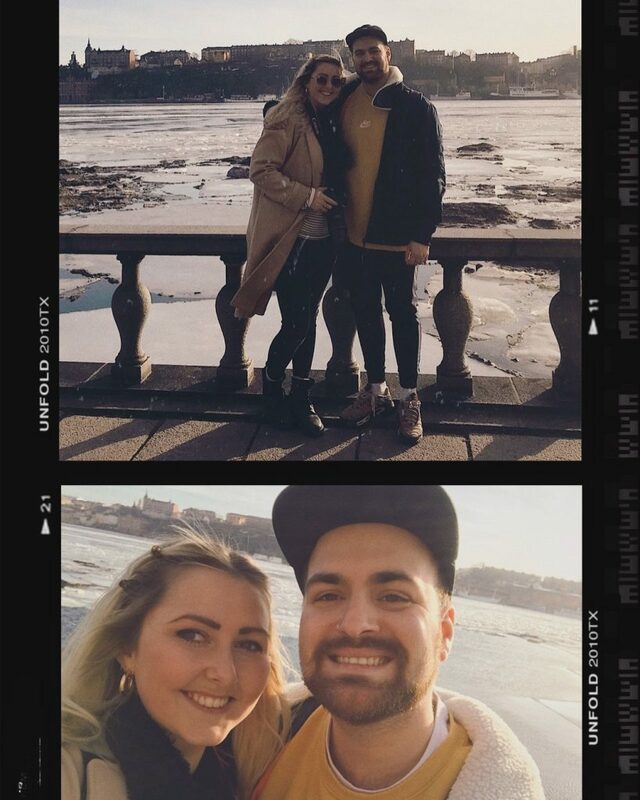 We had such an amazing time in Stockholm – it was so beautiful! Everyone should put it on their list of places to visit if they haven’t already! Really great list! 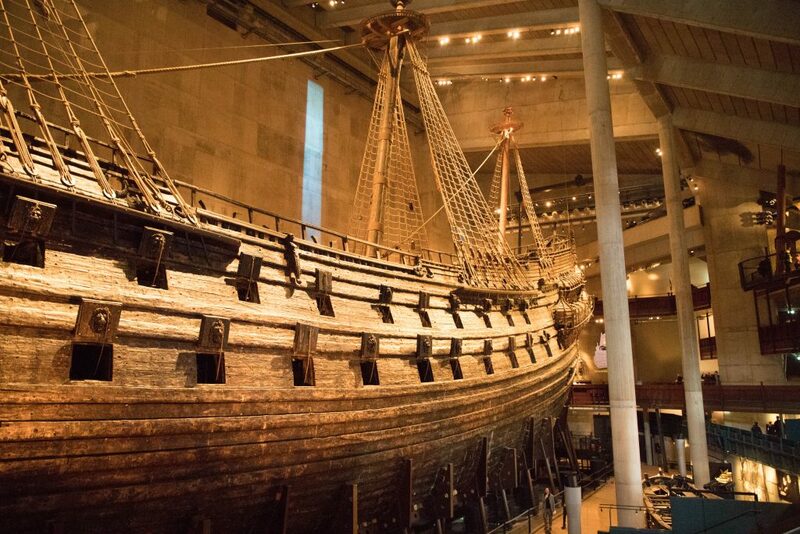 The Vasa Museum and the architecture were my top favorite things about Stockholm. Great post! I haven’t been yet as I can’t afford it but very good to know about happy hour. I also didn’t know about all of the transport deals and options over there so that’s really useful to find out about. Sounds beautiful in the winter! Ok, you’ve sold it to me! I’ve never been before. I’m hoping before Brexit takes place I can get a cheap Ryanair flight like yours. I managed a couple of years back to go to poland return for 14 pounds. I think yours beats mine what a bargain. I will note Stockholm for my travel list. 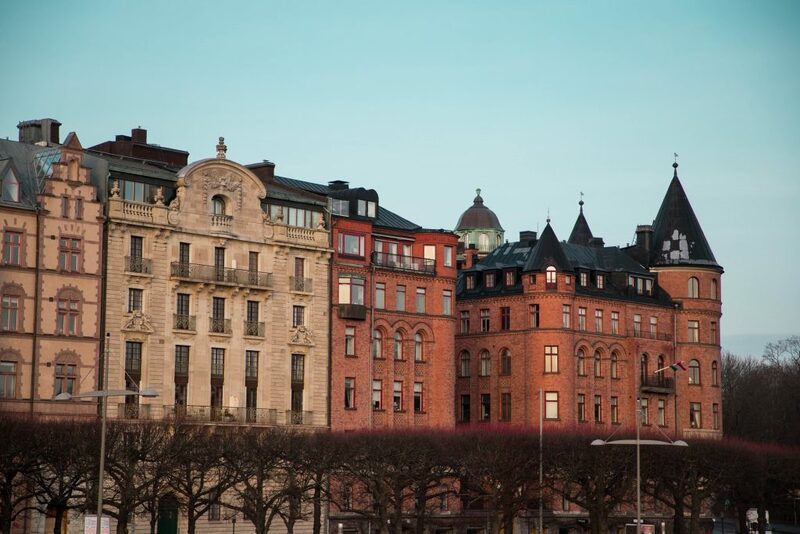 Stockholm is so beautiful all year round, there is a lot of small gem to discover. I live here in 30years now and is still suprise me a place that i discover around! So amazing!